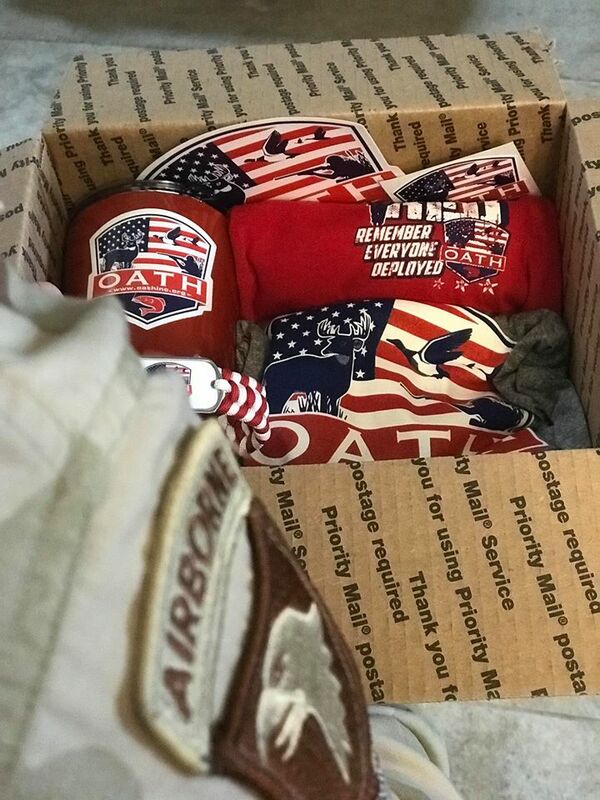 OATH CARES – OATH, Inc.
We are incredibly proud of our #OATHCARES Program, which serves as the sister program of our #OATHGEARBUCKETS program which focuses on stateside warrior that we take on various trips. The name of the OATH CARES Program is double in meaning. The first meaning is simple…we send OATH CARES (short for care packages) to those Service Members that are currently serving overseas. The second meaning is equally simple…OATH CARES in that OATH genuinely cares about the men and women serving in harms way on some distant shore. Through the OATH CARES Program, we aim to make a direct connection with these Heroes, and we need your focused and direct support to make this program flourish. and donate whatever you’re blessed to donate. Once you donate online, you will immediately receive an online donation receipt for your tax records. Once we receive your check, we will mail you a donation receipt for your tax records. Let’s get those donations rolling in today !!! Be part of this, it’s going to be quite amazing. Now please share this with ALL of your closest friends !! !